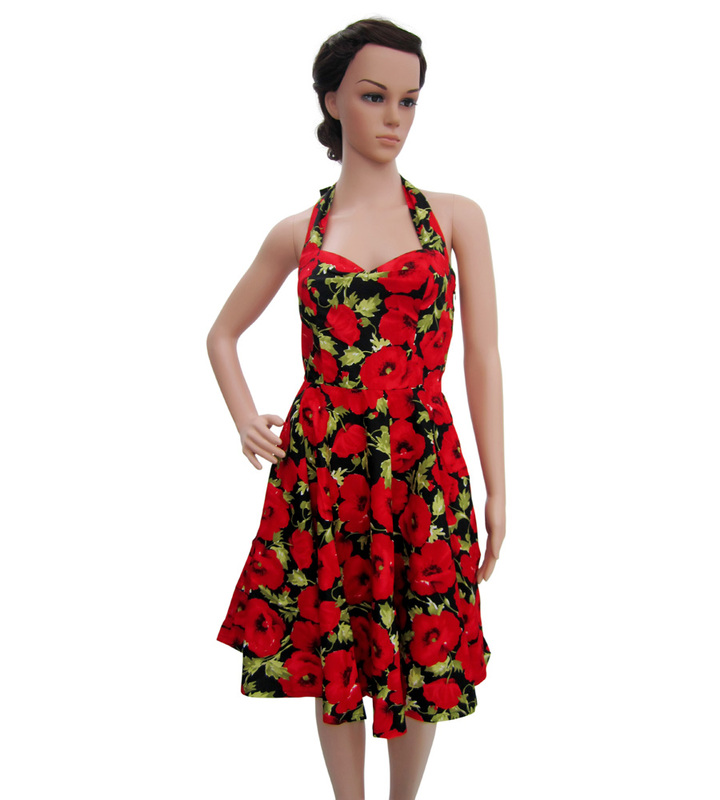 Red Rockabilly Top with Black Polka Dots. 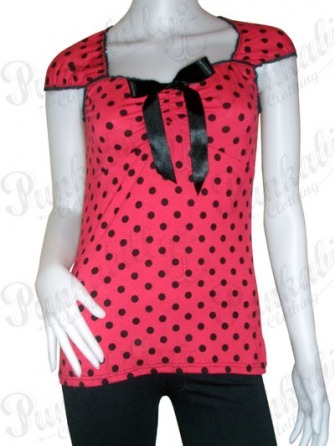 TOPS / Red Rockabilly Top with Black Polka Dots. 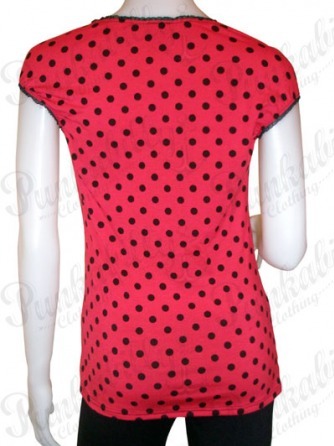 Home :: TOPS :: Red Rockabilly Top with Black Polka Dots. Find your rockabilly inspiration in this swell retro top. It comes with some black polka dots and a black ribbon. 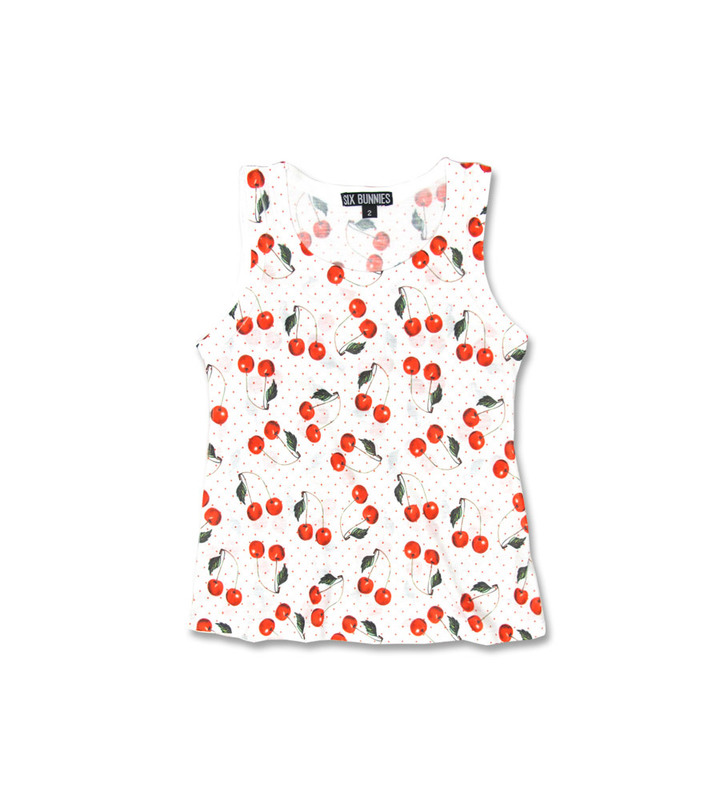 This short sleeved piece is a practical part of fashion, elegant, yet simple. 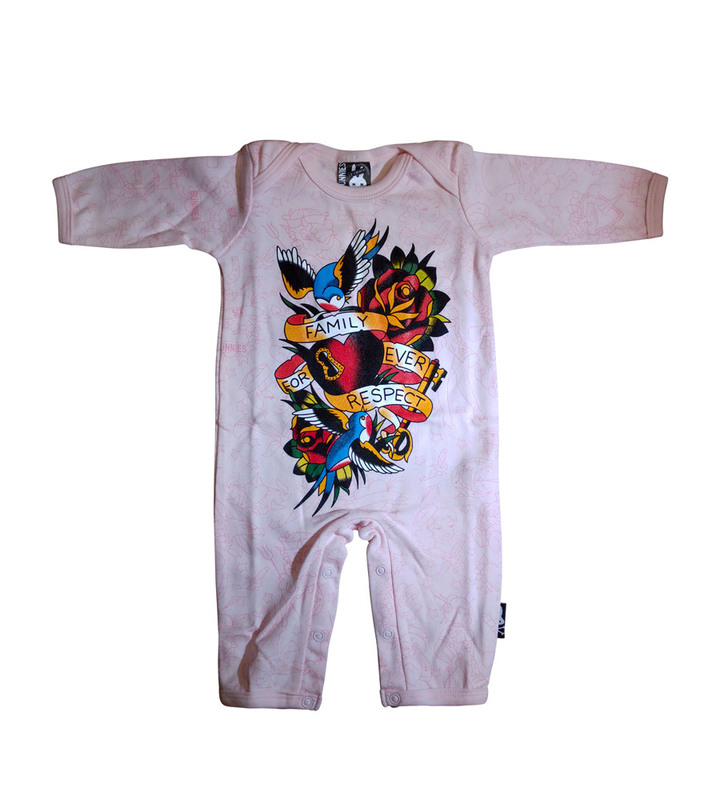 It's perfect for all the punk rock rebels when they want to take a break and look sweet without giving up the rebellion!